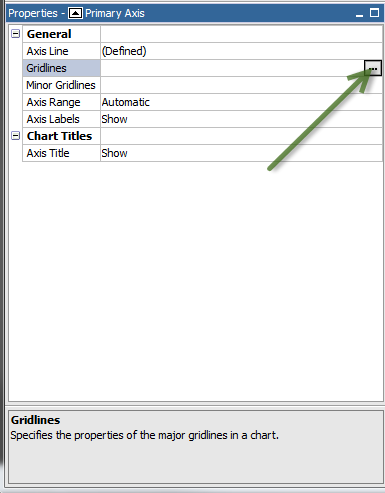 The steps from IBM’s official documentation, while they attempt to lead you in the direction of changing these properties of a chart, did not register with my brain for about an hour or so of clicking around, frustrated that I could not find the properties they were describing in the articl. 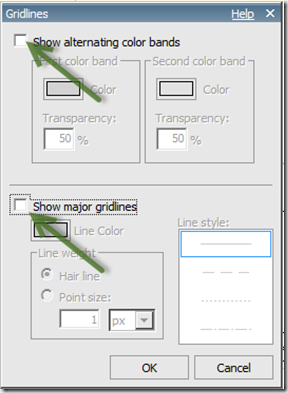 Just in case I could spare anyone else the frustration of trying to remove gridlines in Report Studio’s current default charts, I thought I’d post this quick article on how I solved my problem. The documentation states, “Step 1. 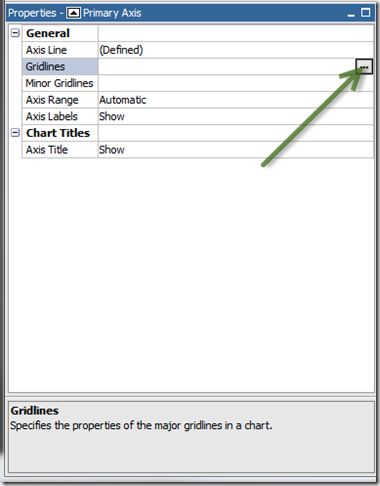 Select the Y-axis or the X-axis of the chart”. 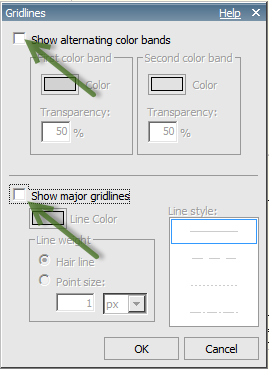 Once I was clicking the right thing, the solution to remove the grid lines from my chart was simple. So where did I need to click?